i love your new header / it looks lovely! I'm officially so over trends-- i think i'm just gonna rock a leather jacket and salt & pepper grey layering, skinny jeans and heels till the snow falls. lol. Such a beautiful campaign, Kate is such a classic and so irreplaceable. 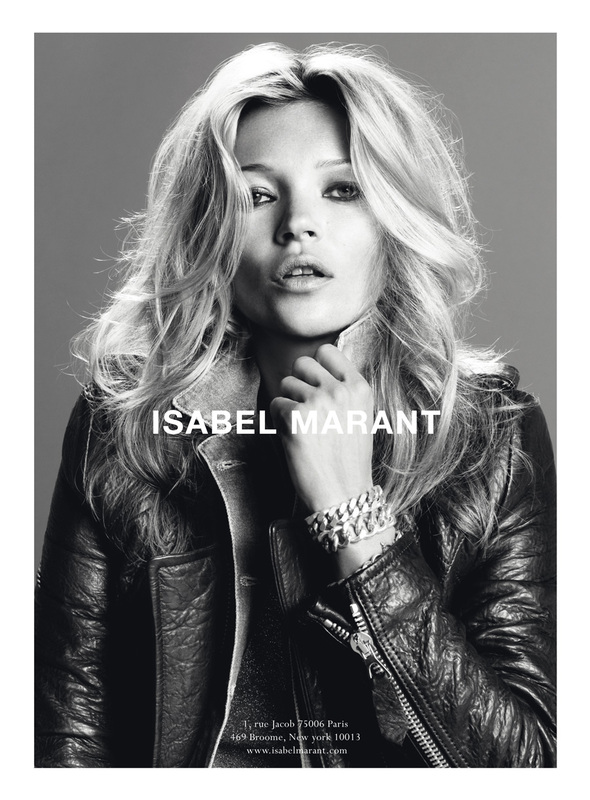 so, kate moss + isabel marant. what more could a girl want, ey?! And the House of Harlow boots are extremely reasonably priced too!! kate is just so effortless. love the zipper detail on this jacket. Great photo! Kate Moss looks gorgeous as always. Cute blog. Come follow mine and I'll follow yours too!! AHHHH She is one of my favorite designers right now! Sheer perfection. She is so freaking gorgeous I can't stand it!! Btw, thank you so much for visiting my blog. I'm flattered you like it because yours is awesome. She just has "it" So beautiful! She gets better and better. kate! my favourite campaign of the fall so far after burberry.